Forget generic birthday celebration keys that you buy from a newsagent or party store. 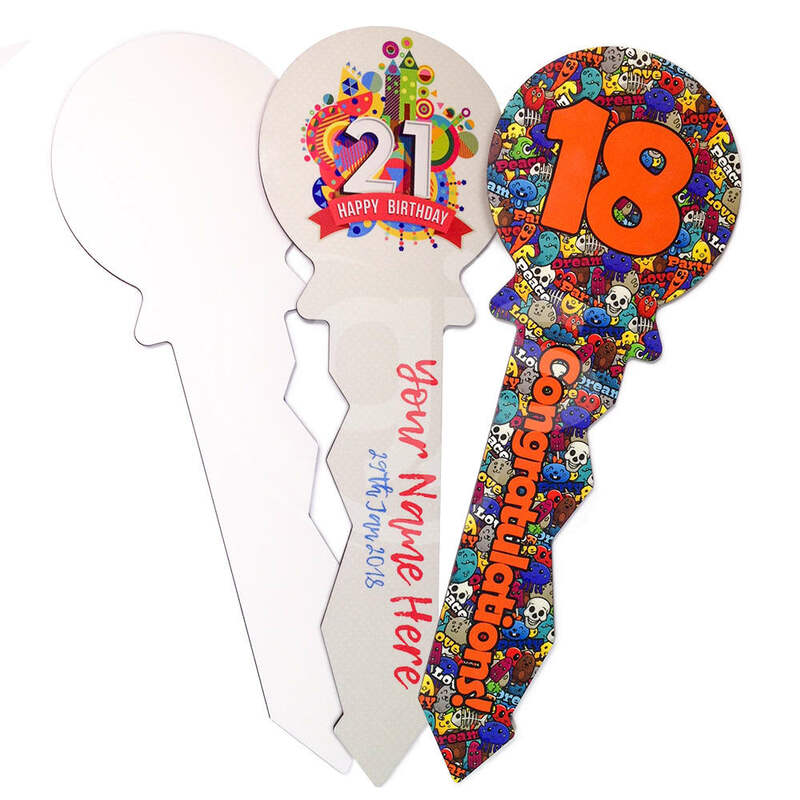 Customise these dye sublimation hardboard novelty keys for your customers with the age of the recipient, a full-colour photo collage of memories or a personalised pattern. Affirmations can be written on the reverse side with a permanent marker, or you can choose to print on both sides. They're the perfect gift for milestone birthdays such as 18th's and 21st's. 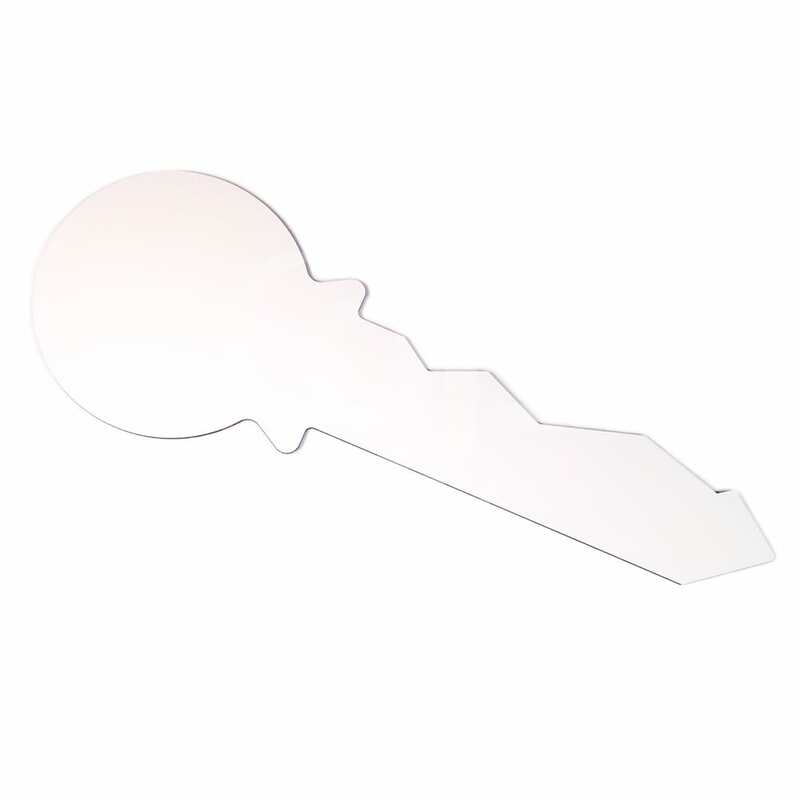 These novelty celebration keys are produced by Unisub exclusively for GJS and cannot be purchased from any other supplier. Please note these hardboard keys are designed for double-sided decoration and do not feature a hinge/opening mechanism. I have only spoken to GJS a couple of times but I had quite a few questions about sublimation and chromoblast and Michael was excellent with his service and knowledge. He was prepared to give me a large amount of information prior to me even making a purchase for GJS. When I first called I asked Michael why I should deal with GJS and his answer was Him. By this he meant the service that he could supply. He did not let me down!